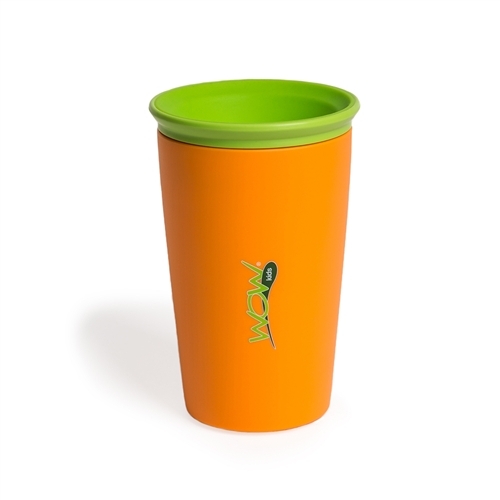 Wow Cup for Kids - Orange | Spill Free Drinking Cup for Kids and Toddlers, No spouts, levers or buttons! 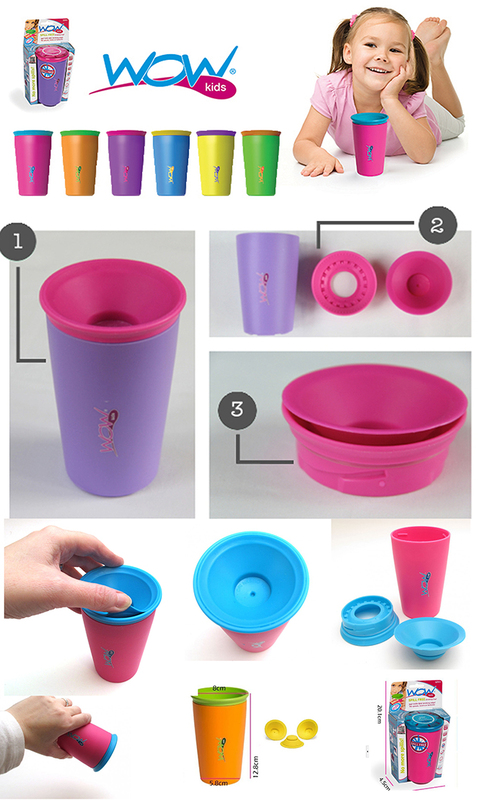 Spill Free Drinking Cup for Kids. 360° EVEN-SEAL™ drinking edge! No spouts, levers or buttons! 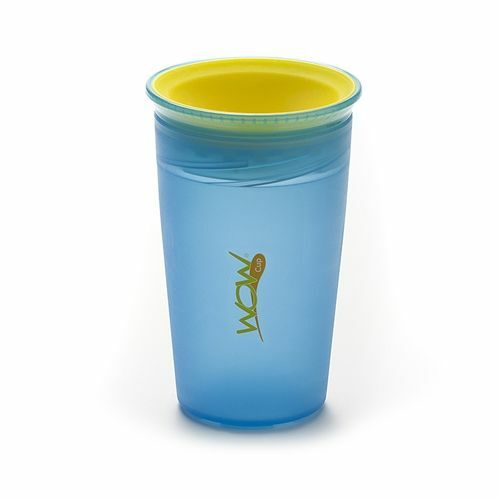 Replace your Sippy and Straw cup today with a Wow Cup®! 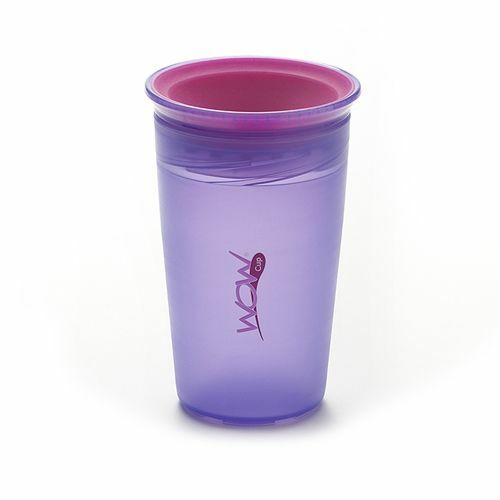 The Wow Cup® provides lots of fun as an everyday cup for the entire family at home, school or on the go. Parents even love to drink from them. 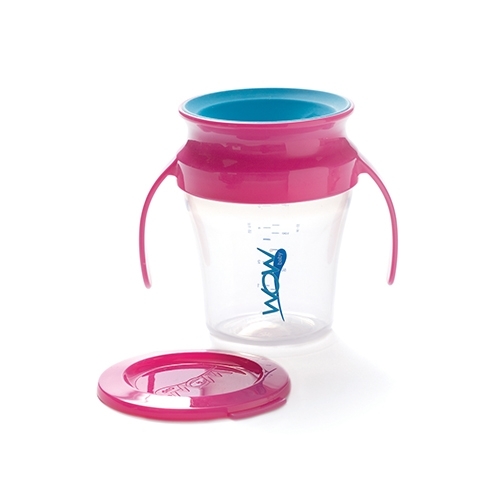 The spill free design virtually eliminates any messy clean-up and because there are no spouts and straws, the 360° Uni-Flow™ drinking edge provides a healthy alternative that helps toddlers develop the oral and motor coordination to transition into a regular open round cup sooner without spilling the contents and endless training sessions. In addition, the no-spout and no-straw design helps in the prevention of potential Orthodontia issues due to long term sucking on spouts. Drink through gentle sucking without the need to press buttons, move levers, or sip on straws and spouts. The 360° EVEN-SEAL™ drinking edge allows you to just pick up the cup and drink anywhere along the rim. After drinking, the valve automatically seals itself until you take another drink. The Wow Cup® is spill free, worry free and hassle free! 360° Drink Area: Drink anywhere from the Uni-Flow™ drinking edge. Spill Free: Spills are virtually eliminated by our patented automatic EVEN-SEAL™ technology. No more messy spills! No Spouts, Levers or Buttons: Drink through gentle sucking. BPA, Phthalate & PVC Free: 100% guaranteed food safe materials. Dishwasher Safe: Clean all parts safely & easily. 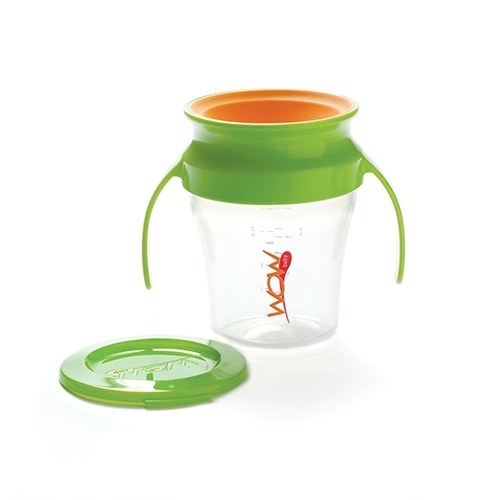 Fun & Easy to Use: Kids of all ages find the Wow Cup® simple to use and lots of fun! Supports Natural Oral Development: Because there are no spouts and straws, the Wow Cup®’s patented 360° Uni-Flow™ drinking edge helps toddlers develop the oral and motor coordination to transition into an open round cup sooner without spilling the contents and assists in the prevention of potential Orthodontia issues due to long term sucking on spouts.